A prominent lawyer in Hamburg, Kurt Rosenberg kept a diary that illuminated daily life under the Nazis. He included many press clippings from newspapers and journals to accompany his observations. 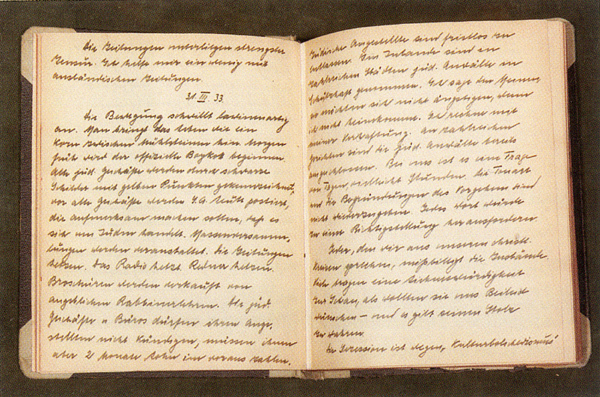 A unique collection of over 2,000 memoirs, many of which are available online, offers rare insights into the lives of German Jews from all walks of life from 1790 to the post-war era. With a notable exception (see below), they are largely unpublished. The current literary as well as sociological interest in the narrative and textual studies, especially autobiography and memoir, refocuses the interest in such texts, which until now have typically been treated as historical documents. This trove is important both for reconstructing everyday life in the 19th and the first half of the 20th century as well as for listening to voices representing a people whose existence in their homeland was ultimately destroyed. Although the Holocaust inevitably informs the thinking about German Jews, the memoir collection provides a great many accounts of Jewish lives over the past two hundred years that took place before this tragic chapter. the occupational adaptations, including the professionalization that paralleled changes in the dominant society. the ways in which German Jews succeeded in establishing themselves through identification with the dominant German culture and civilization, or in opposition to it, or through a combination of each. the patriotic gestures exhibited during World War I. Approximately one quarter of the memoirs were written by women, sometimes about their “men,” their husbands or their fathers but often also about themselves. In some memoirs it is difficult or even impossible to establish the memoirist’s maiden name, more commonly one can trace her identity and her influence as daughter, wife, or mother. The memoir collection invites analysis along these and many other lines. While most of the memoirs were written in German, a selection of fifty-one memoirs has appeared in English (Jewish Life in Germany: Memoirs from Three Centuries, edited by Monika Richarz, translated by Stella P. and Sidney Rosenfeld. Bloomington: University of Indiana Press, 1991). 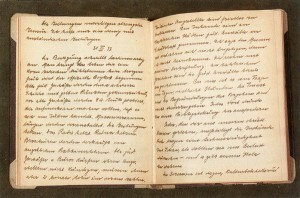 They include ten memoirs composed by women, which were drawn from the three volume collection of 126 memoirs, edited by the historian Monika Richarz (Juedisches Leben in Deutschland: Selbstzeugnisse zur Sozialgeschichte. Stuttgart: Deutsche Verlags-Anstalt, 1976-1982). Most of the unpublished memoirs in the archives contain English language summaries which can be examined on the computerized catalogue of the LBI.